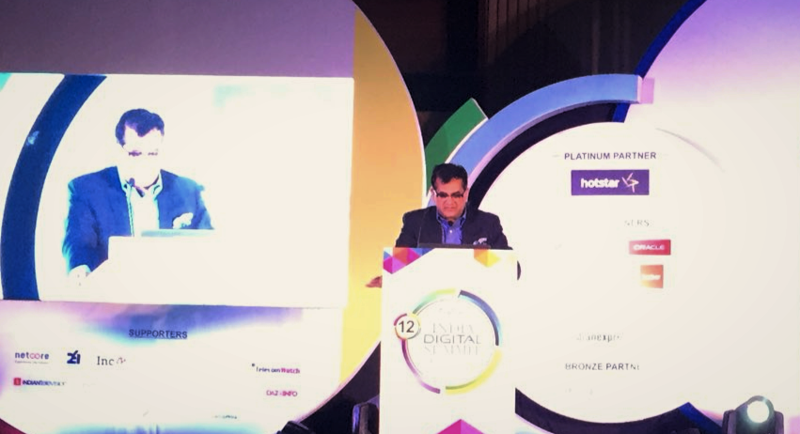 NITI Aayog chief Amitabh Kant at the IDS event. Union Commerce Minister Suresh Prabhu on Wednesday reaffirmed the faith in India’s tech sector by saying that the country was on its way to become a $5 trillion economy in the next eight to nine years. He added that the technology sector — especially telecommunication, artificial intelligence (AI) and internet of things (IoT) — would contribute substantially in achieving the seemingly overwhelming target. “We are preparing a detailed plan towards achieving that. Experts are busy preparing the roadmap including all the sectors where manufacturing can be promoted. If manufacturing is digitised, it will create a huge opportunity for technology firms,” Prabhu said at the India Digital Summit organised by the Internet and Mobile Association of India (IAMAI) in Delhi. National Institution for Transforming India (NITI Aayog) chief executive Amitabh Kant also emphasised on the substantial role IoT and AI in the Indian economy. Kant told the audience that AI alone would generate opportunity to the tune of $32 billion. “Advanced robotics are already handling 25 percent of the jobs. This will rise to 45 percent in the coming years… India is already ranked globally as the most active Internet user globally on a monthly basis. Digital transaction will touch $100 trillion in the next 10 years,” Kant said at the India Digital Summit. “With over 400 million smartphone users in the country, there is a huge opportunity in the IoT space. The opportunity would be in the range of $70 billion by 2025,” he added. Kant also told a news wire that data analytics would boost financial inclusion in the country and would slowly render physical banks useless. “With 99 percent Aadhaar penetration and bank accounts opened under Jan Dhan Yojana, the scope was immense for the fintech industry as well,” he added.